Professional Coin Grading Service (www.PCGS.com) will sponsor a wide range of impressive exhibits and informative presentations at the American Numismatic Association’s Chicago World’s Fair of Money, August 16-20, 2011. The eagerly anticipated exhibit will be in Hall F of the Donald E. Stephens Convention Center, 5555 N. River Rd. in Rosemont, IL, site of the big ANA convention. As previously announced, highlights of the all-time finest U.S. type set from the High Desert Collection will be publicly displayed for the first time anywhere at the PCGS booth (#200) at the Chicago ANA World’s Fair of Money. The 30 coins in this display include 19 of the finest known examples of their date and type, six of them pedigreed to the legendary Eliasberg Collection, and all are in PCGS Secure Plus™ holders. 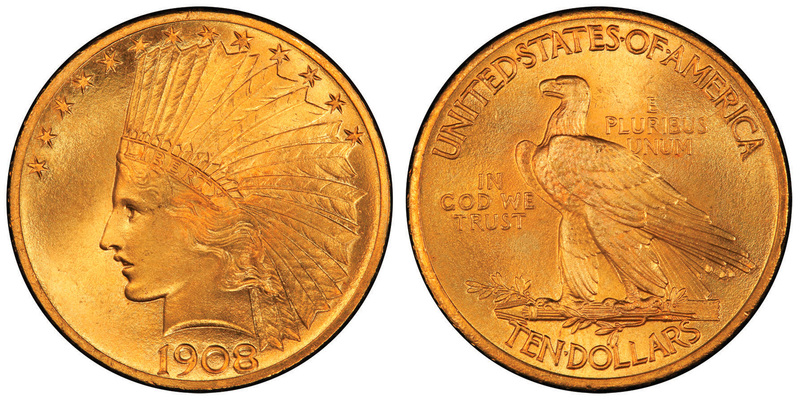 “Good as Gold: America’s Double Eagles,” courtesy of the Smithsonian, that tells the history of the U.S. $20 gold piece. The display features the first (1849 pattern) and last (1933) Double Eagles ever produced, and a 1907 Saint-Gaudens Ultra-High Relief pattern that President Theodore Roosevelt gave his daughter, Edith, for Christmas. 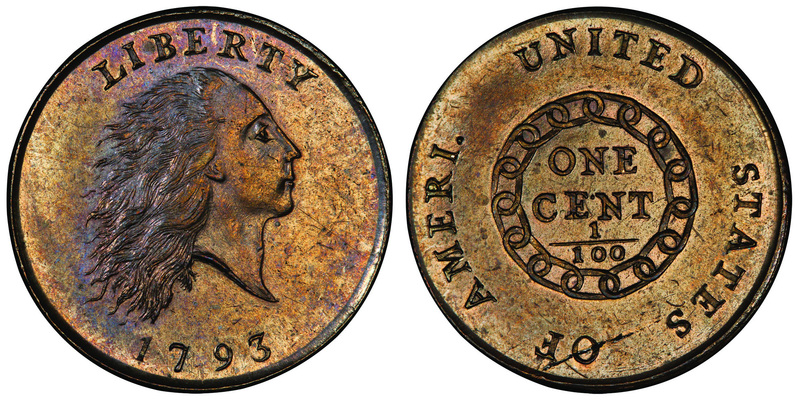 The finest known 1793 AMERI Chain Cent, graded PCGS Secure Plus SP65, displayed courtesy of Bob R. Simpson and Legend Numismatics. The first World’s Columbian Exposition half dollar struck in 1892 and proof 1892 and 1893 proofs as well as a proof 1893 Isabella commemorative quarter, all displayed courtesy of Chicago’s famous Field Museum. The Society of Cincinnati medal that belonged to Revolutionary War hero Nathanael Greene, displayed courtesy of Brian Hendelson. Founded in 1783, the Society of Cincinnati is America’s oldest military society and its original members also included George Washington and Alexander Hamilton. Treasures from the ANA Money Museum including the Idler/Bebee specimen 1804 Class III Draped Bust Dollar and the McDermott/Bebee 1913 Liberty Head nickel. The number-one ranked collection of United States large cents in the PCGS Set RegistrySM will be displayed at the Stack’s Bowers booths (#805 and 906). The historic coins from the Cardinal Collection Educational Foundation include some of the finest known examples of large cents struck from 1793 to 1857, as well as 18th century colonial copper coins, and small cents struck from 1857 to the present day. The exhibit is courtesy of Margin Logies, a director of the foundation, and co-sponsored by Stack’s Bowers and Collateral Finance Corporation. Other exhibits in the Museum Showcase and Collectors Exhibits areas sponsored by PCGS feature gold and silver colonial proclamation medals from “New Spain” courtesy of Banco de México; an example of the famous, ancient “Eid Mar” Denarius struck by Marcus Junius Brutus to commemorate the Ides of March assassination of Julius Caesar, displayed courtesy of Michael Gasvoda; and a never-before-assembled 50-case exhibit of Chicago area National Bank notes produced by every issuing bank and all charter periods, displayed courtesy of private collectors and dealers who have loaned their notes for the unprecedented display. PCGS also is a sponsor of the Museum Showcase area, Collector Exhibits, the World Mint Promenade, World Mint Theatre and the Treasure Hunt Trivia Game at the 2011 World’s Fair of Money. 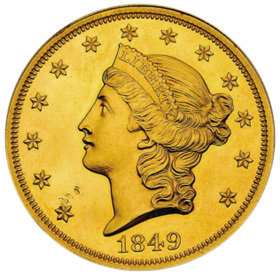 For additional information about the American Numismatic Association World’s Fair of Money, August 16 – 20, visit www.WorldsFairofMoney.com.